The ETI focuses on tracking specific indicators to measure the energy system performance of a variety of countries. The overall ETI score and rank is the average of two scores (Figure A1). Where data is missing for a particular year, the latest available data point is extrapolated forwards. Figure A2 details each of the indicators selected to calculate the system performance score, the weight attributed to it within its category, what it measures and the energy system objective that it contributes to, either positively or negatively. 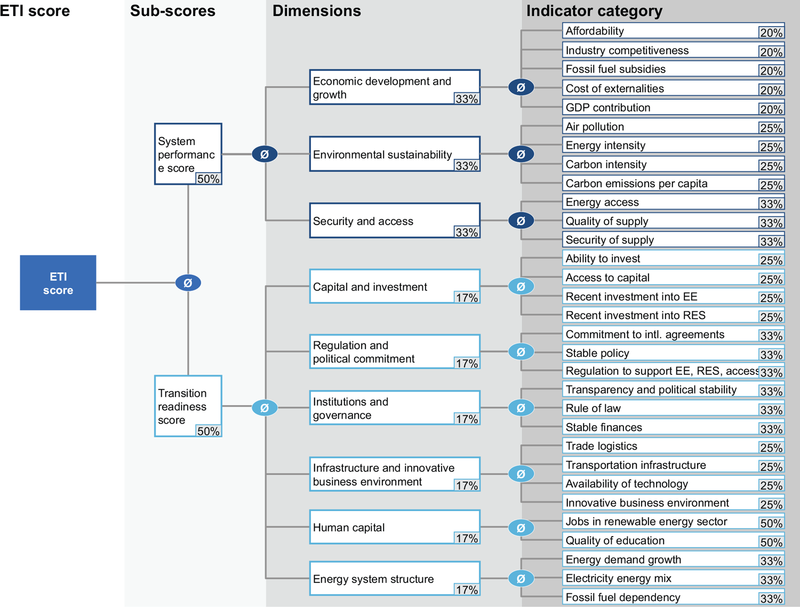 Figure A3 details each of the indicators selected to calculate the transition readiness score, the weight attributed to it within its category, what it measures and the enabling dimension that it contributes to, either positively or negatively. 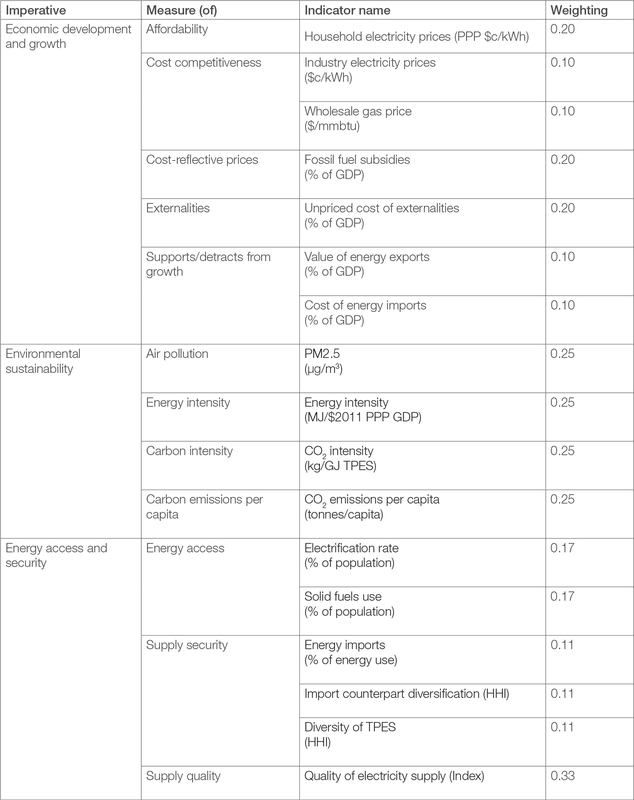 Note 91: Countries’ commitment to NDCs is evaluated based on their participation in the Paris Agreement, the rati cation of the agreement, the ambition level of the NDC (based on Carbon Action Tracker data) and the countries’ current trajectories to meet the 2030 targets (based on PBL data). 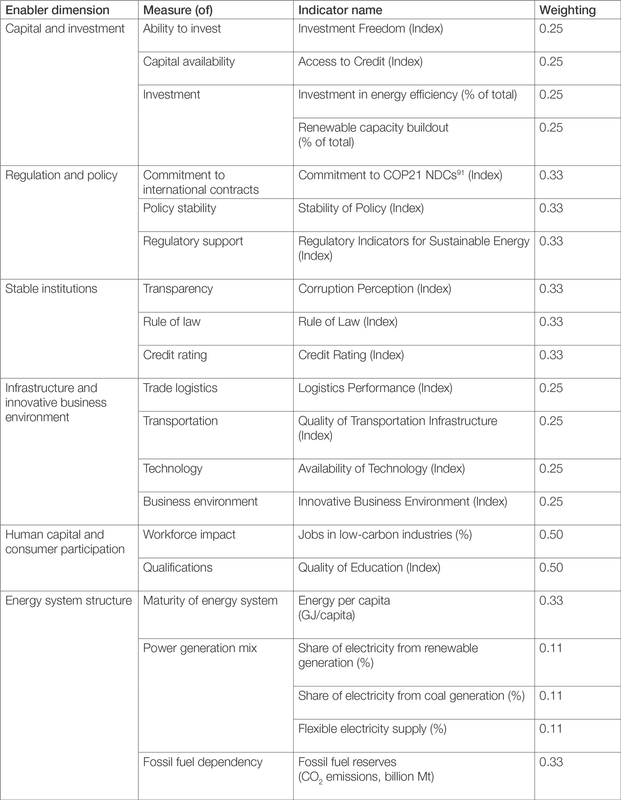 90 For further details on the objectives of effective energy architecture, see the World Economic Forum Global Energy Architecture Performance Index Report for 2013 to 2017.